The Purchasing Department aims to provide the Tufts community access to the highest value of goods and services in a manner consistent with the University’s mission of ensuring stewardship, quality, best practices, compliance, and education. Environmental stewardship, making purchasing decisions based on sustainable, and just business practices are all integral to this mission. Below, we have summarized a few sustainability tips for when you are purchasing supplies for your office or department. Choose products based on efficient use of energy, natural resources, and potential for safe, non-hazardous disposal. The EPA has a resource to help you identify greener products and services. This includes carpet, electronics, food services, landscaping, and more. Find gently used items instead of buying new ones. Not only will this reduce your cost, but it is also more environmentally friendly! You can join local Facebook groups and e-groups like Freecycle where people offer unwanted items such as kitchenware or clothing. Learn more about reusable good in the Tufts community here. Additionally, Tufts Facilities has surplus furniture available for staff and faculty. Desks, chairs, tables and filing cabinets are just a sample of what you may find in storage. The surplus furniture collection varies throughout the year, watch the Tufts Surplus Program for updates. Know what you’re buying, learn about products that are eco-labeled compared to those that are conventionally produced. Look for products with low VOC content or office furniture from FSC certified timber. Choose goods made out of post-consumer waste and high recycled content (e.g. printer paper made from 100% recovered scraps from consumer use) — goods made from recycled materials often require less energy to be produced than goods made from new materials. If you can, choose a product of high quality instead of just going with the cheapest option. Higher quality products will last longer, therefore creating less waste as it won’t have to be replaced at all or as often. Look for ENERGY STAR appliances when shopping. 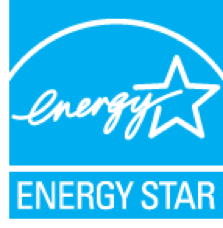 ENERGY STAR is a joint program of the U.S. Environmental Protection Agency and the U.S. Department of Energy to help consumers save money and protect the environment through energy efficient products and practices. Energy efficient choices can save families about a third on their energy bill with similar savings of greenhouse gas emissions. However, you cannot purchase remanufactured toner for Konica Minolta machines through mykmbs.com. Supporting local manufacturers keeps jobs and money in your community and also cuts down on the emissions generated by transporting goods long distances. Additionally, items manufactured in developing countries might be subject to less stringent environmental laws, putting the ecosystem and workers at risk.